The Idylwood Inn - Whistler, B.C. This deluxe 5 bedroom Whistler chalet features two fully equipped chalets consisting of adjoining 2 bedroom and 3 bedroom chalets. Each chalet has a distinct and luxurious feeling. 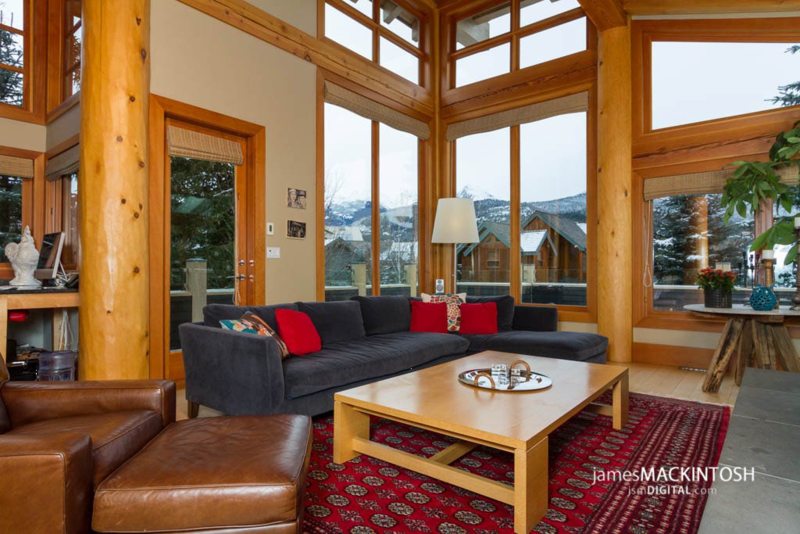 This Whistler Chalet - 5 bedroom & loft, 4 1/2 bath, is located near the Alpine Meadows Sport Center with a large swimming pool, skating rink, gym and squash courts, Nicklaus North Golf Course, the Valley Trail and Green Lake. It is a short five minute drive to the excitement of Whistler Village and Whistler & Blackcomb Mountains. 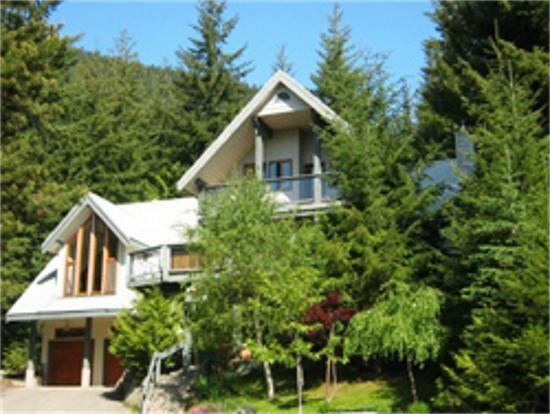 This tranquil Whistler Chalet is the ultimate venue for family vacations and reunions, executive retreats or just a great time with good friends. Enjoy the 8 person hot tub or one of the two fireplaces after an exciting day of play. Take a look at our Photo Gallery of this magnificent vacation home. Complementary: Introductory breakfast basket with all bookings. Weekly bookings also include a wild West Coast smoke salmon platter, selection of local wines and B.C.beer. Location: Whistler Alpine Meadows Recently voted the best neighborhood locale in local Pique newspaper. Away from the congestion and clamor of town centre yet within a 5 minute drive.